Your Sunday book section review section might have stopped reviewing poetry during the Carter administration. But if it doesn’t have suggestions, the National Book Critics Circle does. The NBCC polled its members and came up with a list of five of their favorite recent poetry titles, posted at bookcriticscircle.blogspot.com/2008/02/nbccs-good-reads-winter-list.html. 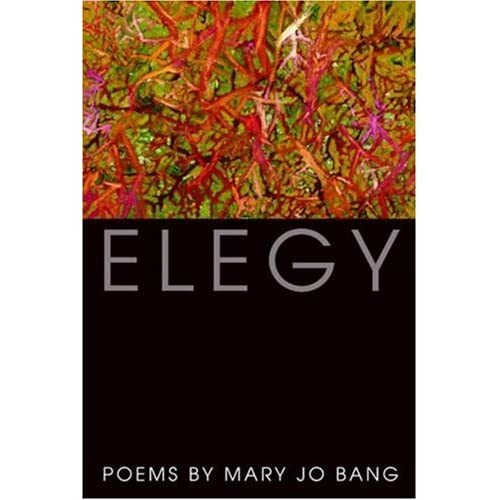 The top vote-getters included Mary Jo Bang’s Elegy (Graywolf, 2007), also a finalist for the NBCC poetry award www.bookcriticscircle.blogspot.com. The NBCC will announce the winner of its annual poetry and other prizes on March 6 in a ceremony at the New School in New York. From Robert Hass’s “State of the Planet” in Time and Materials: Poems 1997–2005 (HarperCollins/Ecco, $22.95) www.eccobooks.com and www.nationalbook.org.